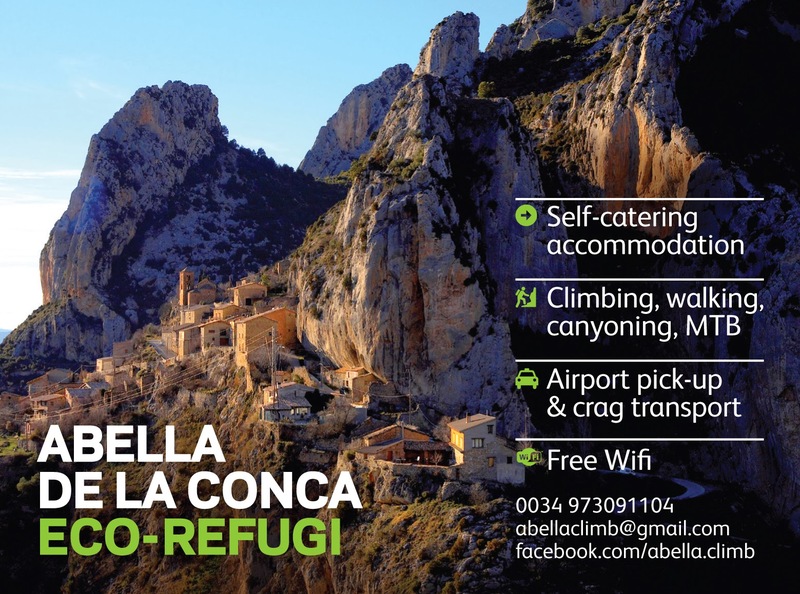 Abella de la Conca is one of the most stunningly situated villages in the whole of Catalunya and from March 1st visitors will be able to enjoy this unique and peaceful location to the full by staying in the new, spendidly situated eco-refugi. Over the past two years, guardians Nic and Ella have lovingly renovated this old townhouse, placing great emphasis on using ecologically sourced materials. It now offers self-catering accommodation for up to 15 guests. 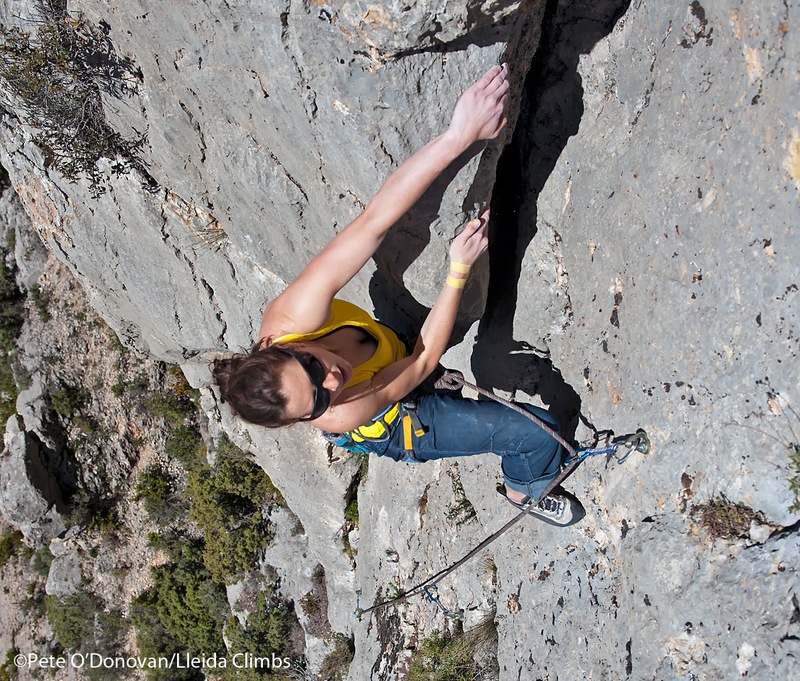 During the same period they have almost doubled the number of sport-climbs on the magnificent cliffs surrounding the village: there are now in the region of 200 routes between V and 8c+, offering everything from delicate face climbing to overhanging tufas, and with such diverse orientations as to allow climbing throughout the year — even on the hottest days of mid-summer. 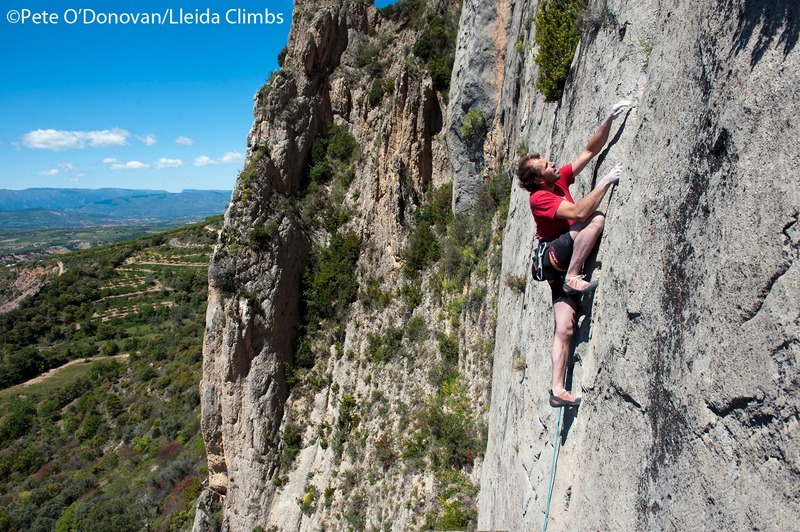 Abella is also perfectly situated to allow easy access to many of the other top climbing locations in Lleida province: zones such as Terradets, Àger, Vilanova de Meià, Collegats, Camarasa, Sant Llorenç de Montgai, Alòs de Balaguer, Santa Linya, Os de Balaguer, Oliana, Coll de Nargó, Tres Ponts and Perles are all within an hours drive. 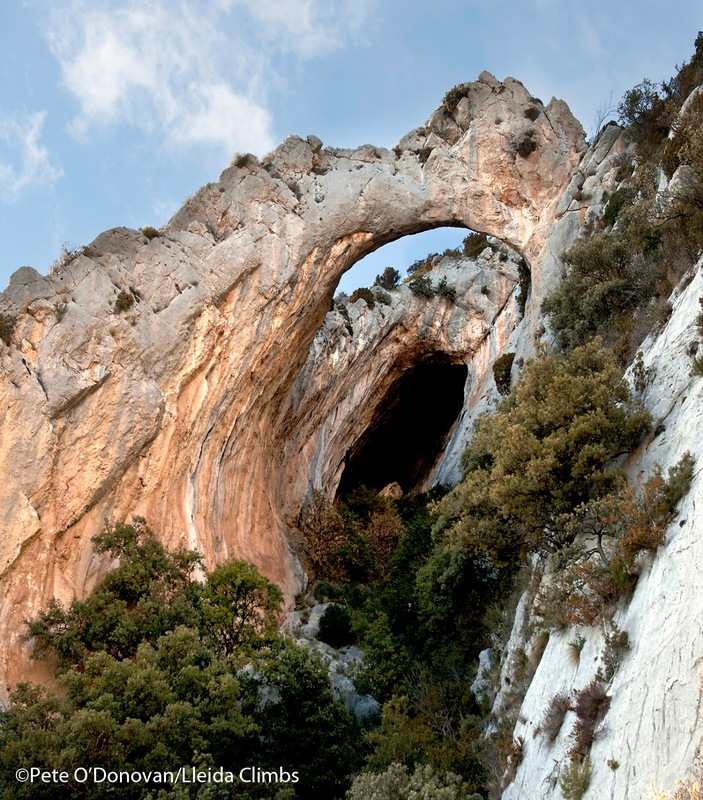 Abella de la Conca— home to some of the zone's hardest routes.